People who actively work a program of recovery know all too well that they have an obligation to help others find what they have found. If you are working a program, or have attended a 12-Step recovery meeting, it is likely that you have heard someone say: “If you want to keep what you have, you have to give it away.” While the aforementioned statement may seem simple, or even trite, the reality is that those words could not be further from the truth. Addiction is something that occurs in solitude, recovery is a life changing experience that happens collectively. People who are new to recovery rely on those who came before them, people who can teach them how to walk a line out of the cold night of addiction into the daylight of recovery—providing them with tools to mitigate the chance of relapse. Typically, someone who is new to recovery will be introduced to the program at their own volition; however, there are times when recovery seeks outs those who are active in their addiction. In the United States, we face an opioid epidemic of unparalleled proportions, and without fail, over 70 people lose their life to an opioid overdose every day. 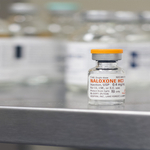 Such a staggering daily death toll has prompted both health experts and lawmakers to call for expanded access to the miracle opioid overdose reversal drug naloxone, otherwise known as Narcan. The drug can be administered with relative ease, and if given in a timely manner has the power to reverse the life threatening effects of a prescription opioid or heroin overdose. Opioid addicts, who experience an overdose and survive, are extremely vulnerable. If overdose survivors did not realize they had hit a bottom, an overdose will often times tell them that they are looking up from the bottom. They are in a unique position; a near fatal experience should be a big enough scare for them to want to get help. Sadly, the majority of opioid overdose survivors end up going back to drugs after being released from the emergency department. People admitted to emergency rooms after an overdose, are more likely to be receptive to the idea of treatment. This is why it is paramount that someone talks to overdose survivors about their options why they are in a state of total despair in the wake of a near death experience. In New Jersey, hospitals are contacting addiction recovery specialists when someone is revived from an overdose, CBS News reports. There are currently five hospitals working with the Opioid Overdose Recovery Program. Funding from by the New Jersey Department of Human Services, Division of Mental Health and Addiction Services (DMHAS) enables 15 recovery specialists to work closely with both law enforcement and medical services in two NJ counties with heightened overdose rates, according to the article. The goal of the program is to explain to overdose survivors that there is another way to live, that recovery is possible—hopefully they can be convinced that if they want to live recovery and rehabilitation programs are the only option. "We come into a room like this, and a lot of the time the family members will be here, maybe outside of the room - sometimes we've had patients who don't have anyone here, they're kind of at the end of the road," said Angela Cicchino, a recovery specialists. "As a recovery specialist we're trained to get the temperature of all of that: like what's going on, what is their life, what brought them to this place?"